Some of us have struggled so hard with this... our self image being formed by parents and teachers who told us we weren't good enough or smart enough... and we had believed it. I had believed this. I couldn't hear as well as others could and until we moved to a new school district that tested for hearing & eyesight (I was going into 4th grade) no one knew I couldn't see clearly for more than 10 inches in front of my face or couldn't hear sounds above a certain decibel and couldn't understand the enunciation of words that most people were saying. This held me back in school and so I believed from an early age that I was a helpless kitten who needed others to guide me through life... and most of the time the people who were guiding me were not healthy for me to be with. I wasn't hearing enough of what I COULD do to counter all the things I couldn't (with the exception of the office work I used to do). My challenges were accentuated by being born with a birth defect in my lower spine called Spina Bifida Occulta and Spondylolisthesis. I didn't know about this until I was 50 years old. It was the reason my hamstrings had always been extremely tight which affected my ability to participate in normal gym activities in school. Because I couldn't do what the other children could do, I felt incompetent in this area as well. Self-love is such an important aspect of your life. I now believe that I was chronically ill for many years because of the low grade depression I felt due to my limiting beliefs. Not feeling good enough for anything really GOOD, I ended up in many dysfunctional relationships which modeled the one my parents had. I also lived a mostly sedentary life style, believing my body wasn't capable of being stronger than it was. With the help of compassionate health food store owners who also studied Chinese Medicine, I learned how to strengthen my immune system and recovered from the chronic illnesses. However, I still had to deal with the symptoms of full blown fibromyalgia aka myofascial pain syndrome. I avoided physical exercise because of pain. I ended up taking a LOT of medications, many to compensate for the side effects of others. I hadn't learned yet that most of the medications I was taking to cope with symptoms were actually making it all worse. 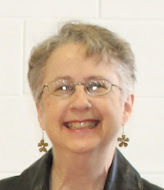 With a brand new year, January 2015, at 59 years of age. I decided to trade most of the medications I was taking for exercise, especially after learning that the woman who owned Curves in my town had recovered from a severe car accident and ten surgeries as a result of the injuries through exercise. I wrote in a previous post about the book Younger Next Year and had started to exercise by going on 20-minute walks, but this wasn't going to be enough to counter the affects of osteoporosis. Sonja turned out to be the perfect personal trainer for me. I knew if she could recover and do all that she does with the severity of the injuries she sustained and all the surgeries (including hip replacements) she had, I could. Merely one month later, the parts of my body that were too weak to do certain machines are stronger. I no longer need her to assist me with the devices I couldn't do on my own when I started. Unlike all my other attempts to join gyms and exercise (which were short lived), I can stick to this. And there is nothing better than receiving phrase for how much improvement you are making! 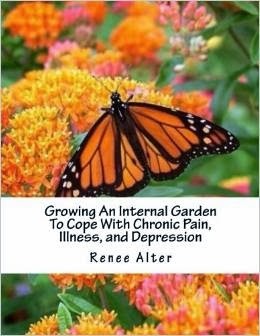 I also began the new year with the completion of my 7th book: Growing An Internal Garden to Cope With Chronic Illness, Pain, and Depression, which began as a project for myself for maintaining my health. Transformation is an amazing sensation when we finally realize that we are strong and smart... more than good enough... and amazing sensitive souls. Transformation occurs when the frightened lost kitten can look in the mirror and finally realize he/she is a lion... strong... confident... capable... believing that anything is possible! With age and experience, many of us come out the other side with a lot of wisdom to share, I consider myself one of them. I've been to all kinds of doctors and learned something useful from each one of them. I've talked to a lot of other people who have had all kinds of physical challenges. I've delved into all kinds of Alternative Medicine searching for solutions. I've read a lot of books. I've been dealing with physical challenges since I was a child. Maybe I should have been a doctor or health care practitioner. I got as far as obtaining Reiki Certifications when I was in my 30's and a Bachelor's Degree when I was 41. Hopefully I will be able to continue my education and get a Master's Degree in something -- or some type of certification in the health and wellness field. The inspiration for this book (my 7th one) was inspired after I listened to Teal Swan’s video where she says to ask yourself “What would someone who loves themselves do?” After asking this numerous times, an answer came to me. Treat my body like it I a garden. think of your body as a beloved garden. Choose the flowers you want to grow. Plant good seeds. Provide nourishing soil. Fertilize it. Refrain from using pesticides. Water it. Feel the joy of seeing new flowers grow. Bask in the wonder of how much beauty can sprout from tiny seeds. It takes time for flowers to grow. Be patient with yourself as you nurture your inner garden and wait for your flowers to bloom. After your flowers bloom, the butterflies will come. Remember that they were once homely caterpillars. In order to become butterflies, they had to weave a protective cocoon around themselves. When you begin this journey, think of yourself as being in a cocoon, soon to discover you will become a beautiful butterfly. This little book includes a narrowed down summary of what I learned in my personal journey through chronic pain, illness, and depression. It is set up like a workbook with exercises for you to do and recommendations of books to read as well as videos to watch. Be inspired and believe you can recover. You can find this book on Amazon through the links provided on the "My Books" page. I hope this book will help you in your own journey and that you will share it with those you love.